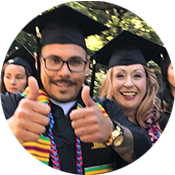 At Gavilan College, we want to provide you with an environment that nourishes your self-awareness, your dreams, and success. I encourage you to take advantage of the support services, student clubs and government, employment opportunities, and other additional experiences that can enhance your time here at Gavilan. We believe in you and we’re here to help you in your higher education endeavors. As the Vice President of Student Services at Gavilan College, Kathleen Moberg oversees Admission and Records, Counseling, Financial Aid. 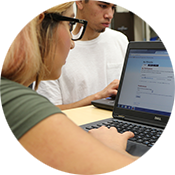 the Student Equity and Assistance Program, and all other student support services at the college, including the Hollister, Morgan Hill and Coyote Valley sites. As a member of the Executive team, Kathleen also facilitates project management, regulatory compliance, enrollment and fiscal management discussions and projects. Additionally, she also serves on the Chancellor’s office IEPI Enrollment Management Task Force, and as Co-Chair of the ACCCA Great Deans program. 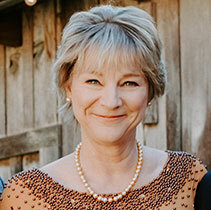 Kathleen is currently the President of the Chief Student Services Officers Association which represents student services officers of the 114 community colleges in California. Gavilan provides comprehensive services and we invite you to browse our list of services. We support the “whole” student in both academic and nonacademic areas and we hope you will connect with our Welcome Center peer mentors, our counselors and staff, or other students on campus who can direct you to the support that makes sense for you. Thank you for choosing Gavilan.